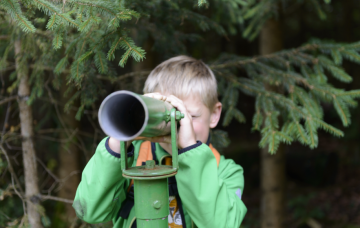 Our forest adventure trail is perfect for families, schools and nurseries. 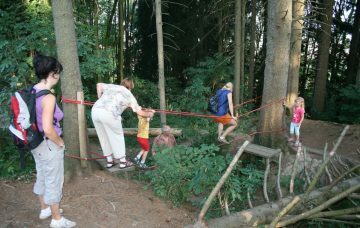 You can get to the forest adventure trail by either following the Grotto footpath from the centre of the village, or by using the car park in front of the clubhouse by Sonnenbichl. This is also the starting point where the information board is located. The seven stations along the circular route make the forest a very special experience for visitors. The stations give you the chance to leap into forest life, get into the forest mood with instruments made from natural materials, walk barefoot on the earth and develop real ‘intuition’. You will also be able to find out what’s really special about the forest and animal tracks and take a closer look at the soil life. Approximately 1 to 2 hours of adventure and walking will take you back to the starting point.